It’s criminal what they did to this game. Whatever nasty rumors may have persisted during the last two months, be assured that I am back and I am safe. I’d go into detail about my going missing but ultimately I just don’t think you care. The shorts story is “I got a contract job that lasted two months and it was abroad.” Hence why I’ve been rather busy. Too busy, in fact, to play all that many games in my spare time. But now I’m back where I belong, in little, cold Sweden and I’m ready to talk about games again. Specifically the TV series Criminal Minds. Criminal Minds has been on my… well, mind for quite some time now. I first watched the series a few years back but a few months back I started watching it with a bit more determination. And to say that it grew on me is an understatement. Today I’d consider myself a pretty big fan. Sure, the show isn’t perfect but when it’s good it’s really good. And when it’s bad it’s merely mediocre. It’s a show about the very worst that humanity has to offer and it teaches you a lot about yourself, where your limit’s at and what effects these horrors have you on. And the game isn’t entirely unlike that. It sure taught me where I draw the line. Released in 2012, the game is actually set slightly later in the series than where I am but the roster is the same as in season 5 so either the show doesn’t change much between now and then… or then and… further then. Whatever. You’re cast as one of the members of the FBI’s BAU, the Behavioral Analysis Unit, working out of Quantico to help law enforcement around the United States of America with the profiling and apprehending of serial killers and psychopaths… and the occasional terrorist. The game is pretty much a straight up HOPA like you’ve seen a million times before. You have your hidden object scenes and your puzzles and not a whole lot more. The uniqueness of the game comes from the license and is pretty much aimed wholeheartedly at existing fans of the show rather than trying to win new fans. Throughout the game you get to play as the different characters from the BAU thought it’s mostly a cosmetic change rather than gameplay related. You have two different cases to solve and you play as each character once per case so you have two times to enjoy being your favorite character. Unless your favorite is Garcia in which case you’re out of luck as she’s safe back at Quantico. 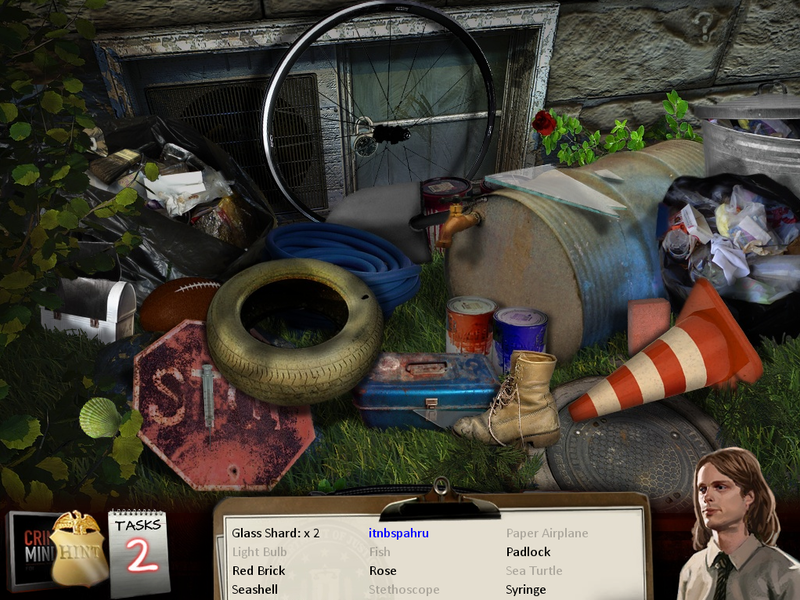 Split into two cases, the game effectively consists of two stories and two murders that you need to solve. I say solve but all you really do is follow the string of scenes and puzzles to the end, using items on other things when appropriate. Although you do interrogate suspects, it’s either simply by using the correct item on the person or by completing a Mahjong-inspired puzzle. The object of the puzzle is simple, you want to remove all the green tiles and to do so you need to get rid of all the surrounding pieces. The object isn’t to clear the board like in regular Mahjong solitaire but only to remove the green tiles. This has me sort of torn because for one, it’s a boring way to conduct an interview. There’s no real energy to it and you have as much time as you want to do it. At times I even cleared the board just for the fun of it. There’s no real dead ends to the puzzle either, you never have to start over and you can’t lose. On the flipside, it’s one of a few recurring puzzles which allows them to slowly up the difficulty with these puzzles. Perhaps not so much with this one as it’s merely time-consuming but the other puzzle, the path finding one, does get more difficult as the game progress. This is easily my favorite puzzle of the bunch. It’s, again, a boring way to include “profiling” in the game but the puzzle itself gets gradually more difficult until it’s actually very difficult to solve. Each time it popped up again it filled me with a sense of dread because I knew I’d actually have to think for once. The puzzles were definitely my favorite aspect of this game although some were better than others. I really miss a good code cracking puzzle and though the game throws one my way it comes way too late in the game and is never repeated. Very few puzzles actually demand that you use your head which is a shame because I love using my head to actually solve a puzzle. Like many other HOPAs, whenever it comes time to crack a code, the game more often than not simply gives you the answer rather than expect you to figure it out. Have to crack a code using planetary symbols? Oh look, there on the wall is a poster with planetary symbols. Using that I’m sure I can crack it. No? Oh, you just handed me a slip of paper that said “Mars, Earth, Sun”… gee, I wonder what that means! Listen up, developer, it’s not a puzzle if you GIVE me the answer. Figure out a better way of doing it than handing me a piece of paper with a clue one step removed from the answer. Make me try different combinations or figure it out using vague clues spread around. You aspire towards the “Adventure” label and if that’s your goal then actually TRY taking inspiration from the adventure games of yore ’cause they constantly made you do this. At the very least hide the combination in the log book rather than plaster it in front of our faces. It’s been so long since I actually needed to use the journal in any HOPA that I basically forgot they even exist. Another aspect of the game that annoys me are the hidden object scenes themselves. For the most part they’re extremely standard not all that interactive. Every now and then you need to operate some object to reveal other objects, like opening a lunch box to reveal a glass shard. But the one thing I loved the most were the scrambled words, in the above picture it’s the one in blue. It’s the one thing that really stood out to me because it made the scenes that much more interesting and challenging. Sure, you could just click one of the many question marks littered around the scene to reveal the word or you could try and figure it out yourself. Sometimes I could, sometimes I couldn’t. I really wish the game pushed this aspect harder and it would’ve been a perfect opportunity to make difficulties stand out. If it’s set to easy then no words are scrambled, on normal there’s a few words scrambled but on hard then all words are scrambled. It’s such an EASY thing to do and yet the developers didn’t do enough with it. I get that casual game developers have adopted the “no-one left behind”-philosophy of game design, meaning everyone should be able to play and complete the game. But making all games for entry-level beginners ensures the genre will never evolve or change organically. Besides, that’s what difficulty levels are for, to allow everyone to play how they’re comfortable. My point is, I shouldn’t have to impose rules on myself to make the game more challenging, that’s the job of the game and developer, not the player. Besides, if you already have a hint function in your game, why would you need to build in a secondary hint system? Another thing I don’t particularly enjoy is the art. For the most part it’s… okay, it strives for realism which is suitable for a game like this. But certain aspects of the game feel extremely unfinished, the cut scenes are a joke and some character portraits look hideous. Hotchner often looked like someone hit him in the face with a shovel repeatedly. But the one thing that stood out the most to me and that I hated the most was the pictures of Garcia quite obviously lifted straight out of the TV series and it clashes something horrible with the chosen art style. And there are no voices, none of the cast members voice their character! For a HOPA with a three year long development, this is just inexcusable. If I didn’t know any better I’d say the game was rushed. But reading about the game online, it seems there was so much more planned for it than was ultimately included. Three cases instead of two, for instance. And that would’ve helped a lot because as it is the game is simply too short. And there’s no narrative to tie the two cases together so it feels disjointed, like they’re two separate games. The TV series is all about the characters and how they react to the violence they encounter almost on a daily basis. And the game doesn’t dare to be as gruesome as the TV series which is a marathon of human cruelty. Instead everything is neatly covered up and all the violence have been trimmed down to a PG13 rating. In other words, this game is inoffensive and if there’s one thing the series never was it was inoffensive. When it comes to a licensed game like this I can’t make an assessment in a vacuum. I watch Criminal Minds and I enjoy Criminal Minds for what it is and because this is a game based on Criminal Minds it not only has to fulfill my wants as a gamer but also as a Criminal Minds fan. And it, to put it bluntly, doesn’t. There’s no edge to it and the game is far too brief of an experience to be enjoyable. Sure, the art is pretty meh and I can’t really remember the music all that much. I disagree with a lot of the design choices made to simplify the experience and the writing was pretty dull. But the biggest offense is that it’s not a very good Criminal Minds game. When you buy and play a game based on a TV series all about profiling criminals, you expect that to be at the core. Interviewing suspects and putting together a profile, exploring the psyche of a psychopath. You’re tasked with figuring out who the killer is but it’s a linear path from A to B with no deviations and you can’t get it wrong. One of the biggest fears of the characters in the show, and no doubt in real life, is getting the profile wrong and yet that’s never incorporated as a failure state which drives me mad. The game was announced in 2009 and wasn’t released until 2012. That’s three years and given the state of the game I’d say at least two and half years of that are unaccounted for. Best guess, they had a poor production schedule and they simply ran out of time and had to cobble something together for release. Alternatively they’re just not very good designers. Pick one. 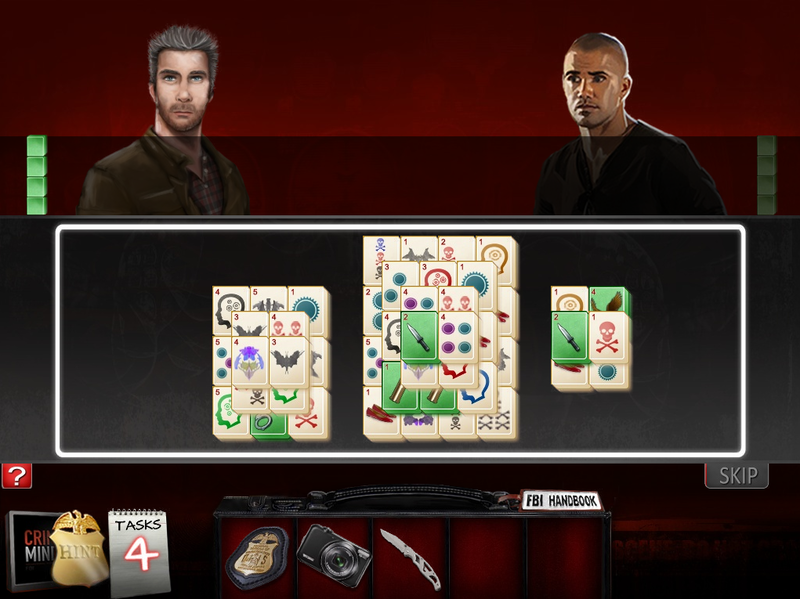 For a “Criminal Minds” game there’s just too much missing to make it appealing to fans of the show. You don’t get to actually profile anything and the game figures just about everything out for you. What that leaves you with is a generic HOPA with a few good ideas that are never explored sufficiently. As such it’s not very interesting to HOPA people either. Which leaves “Criminal Minds: The Game” with nowhere to call home. 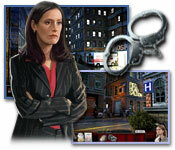 Criminal Minds was developed by Legacy Games. To find out more about the game or try the demo, go to Big Fish Games here.